High School Students that are new to the district can pick up a registration packet from the High School office on Tuesday, August 14th beginning at 9:00am. 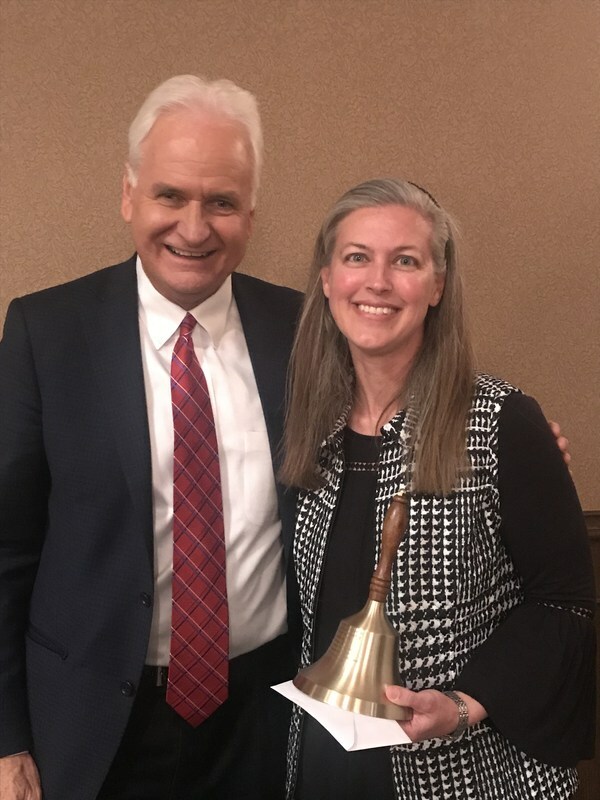 On Tuesday, April 3, Mrs. Bender was named as one of the two top educators in the area by Lubbock Christian University. The award is presented annually to remarkable educators as recognition for their diligent efforts in educating the generations of tomorrow and encouragement that their hard work does not go unnoticed. Mrs Bender deserved this award and recognition for her efforts and love of kids. Each of the distinguished educators was nominated by area school superintendents for their commitment and passion for teaching and learning. Among the criteria for nomination was student performance, knowledge of subject matter, use of instructional resources and technology, leadership in the school and the school district, professional development, and community service. Abernathy High School competed in the District UIL meet in Post on March 22nd. AHS placed 2nd overall, qualifying 20 students for Regional. Congrats!!! 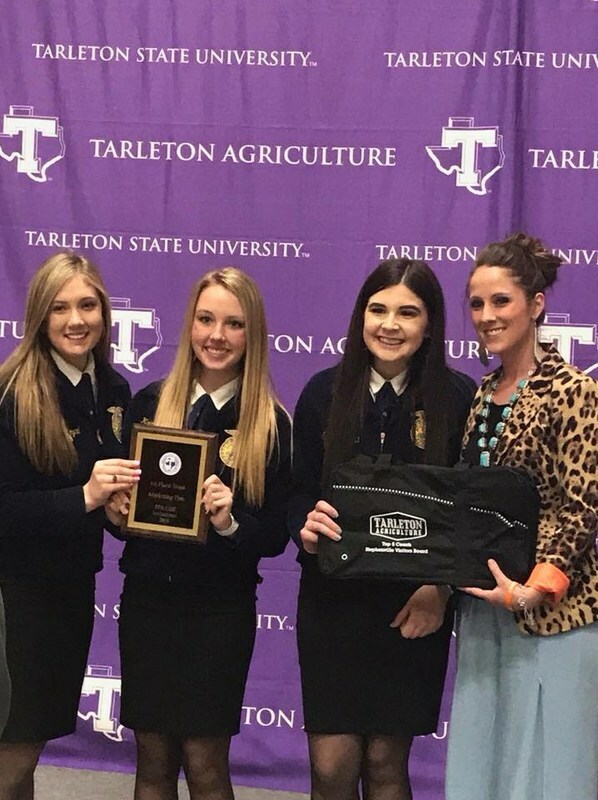 Addi Royal, Kaitlin Nick, & Ashtyn Kincaid defend the championship title at the 2018 marketing plan team CDE contest at Tarleton State University. They are coached by Olivia Schniers.